Brush up on this handy assortment. 7.5"l. x 2.38"w. x 1.5"h.
New condition. May show signs of long-term storage. Now that you've got your boots on the ground, put your best foot forward by enlisting in these Boot Brushes. 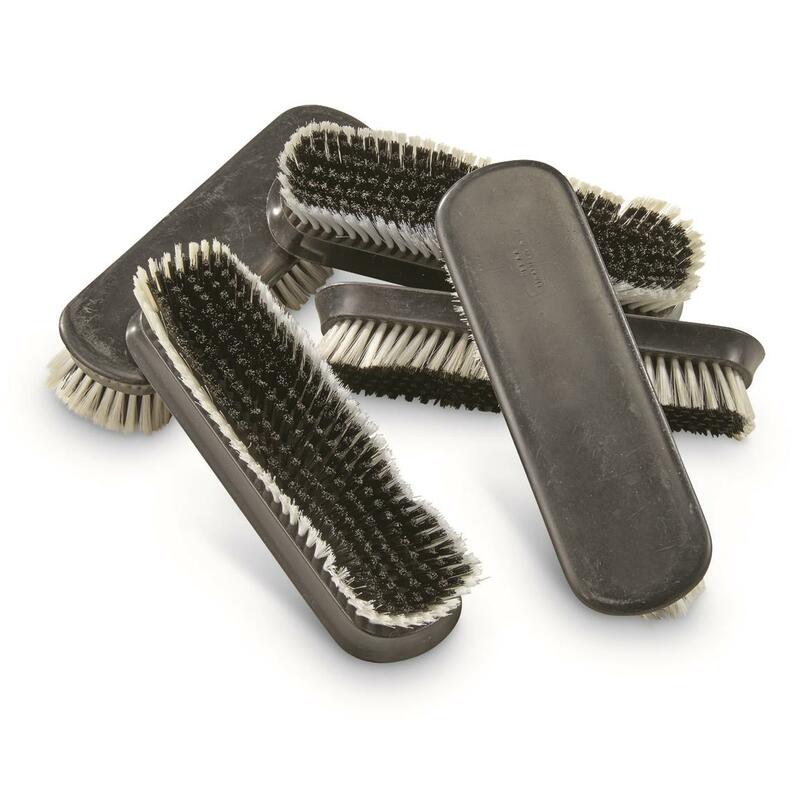 Soft bristles are great for polishing and buffing. Also effective for cleaning suede, nubuck and chamois leather footwear. Dimensions: 7.5"l. x 2.38"w. x 1.5"h.
Bite down on cold weather. Pouches are 7.5" x 8"
Handy Italian "amico" for range day.